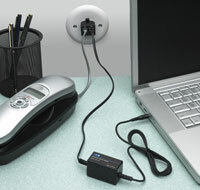 Files will download automatically from the USB connected cradle. Dictate right into your PC and see the results instantly, or dictate blindly and cleanup later. Choose the icon for automated file transcription, and Dragon® Medical Practice Edition 4 will then perform the transcription. Dictation goes right into your EMR/EHR fields- you're done! The microphone is important. 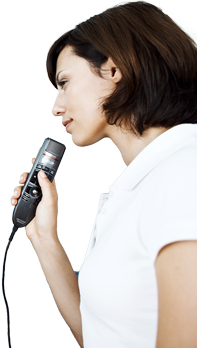 Many people use a wireless Bluetooth microphone to free the doctor's hands. 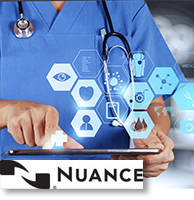 Dragon® Medical Practice Edition 4's maker Nuance recommends the Calisto Bluetooth microphone. 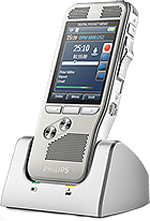 Another option for a microphone is new Philips SpeechMike Air. This has the advantage of being wireless and also gives the doctor buttons at his finger tips to navigate easily through the forms. 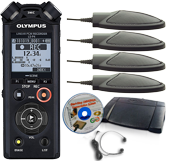 Often doctors and other medical professionals want to speak into a digital recorder like those from Olympus or Philips. 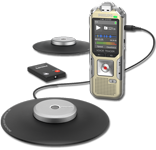 The files saved on these digital recorders can then be transcribed using Dragon® Medical Practice Edition 4 into a text document. The state of the art software that comes with Olympus or Philips professional digital recorders has built-in compatibility with Dragon® Medical Practice Edition 4. The user can simply select the file they want transcribed and push a button on a toolbar and the software will convert the file format for Dragon® Medical Practice Edition 4 and Dragon® Medical Practice Edition 4 will transcribe the document. Then final editing can be done either natively in Dragon® Medical Practice Edition 4 or for foot pedal support; one can use Transcription Made Easy to do the final editing. Creating final documents from audio files using Dragon® Medical Practice Edition 4 dramatically reduces the human effort required to produce documents. This is much faster than traditional transcription so the practice can save money on transcription costs. Dragon® Medical Practice Edition 4 comes with a batch transcription feature so that any audio files placed in a given directory will be transcribed automatically. There are many tasks that we do repetitively throughout the day on our computers. These tasks can be time consuming. And since the time spent on these tasks takes away the time spent on other things anything that reduces the time to perform the tasks is a return on the investment of Dragon® Medical Practice Edition 4. E-mail can be initiated/ answered and sent with just voice commands. Dragon® Medical Practice Edition 4 has the framework to allow for custom programming of unique applications. Your IT staff may be able to accomplish this programming or you can contract with HTH Engineering. What are the specialized vocabularies available in Dragon® Medical Practice Edition 4? Am I allowed by license to install Dragon® Medical Practice Edition 4 on more than 1 computer? 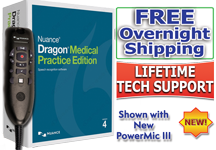 The Nuance verbiage is as follows: Dragon® Medical Practice Edition 4 is licensed on a "per individual" basis. 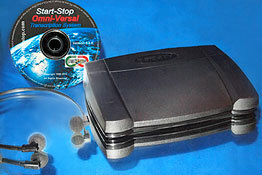 You are permitted to install the software on more than one computer (such as on a desktop and a laptop computer, or on a work and a home computer), but you cannot use the software concurrently on more than one computer. You are permitted to create multiple voice profiles, so long as each voice profile is for you. If someone else wants to create a voice profile, that person must purchase a separate Dragon® Medical Practice Edition 4 license. 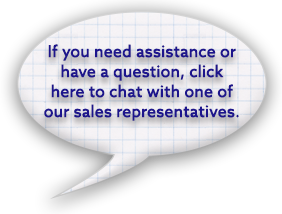 Can I use Dragon® Medical Practice Edition 4 with my EMR package? 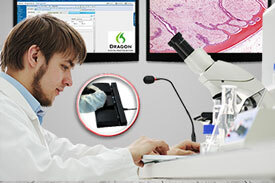 Out of the box Dragon® Medical Practice Edition 4 will work properly with virtually all Windows application edit boxes. The best way to think about it is if you can set your cursor in an edit box and type into it, you will be able to use Dragon® Medical Practice Edition 4. In addition, several EMR packages have additional macros and commands that allow you to use Dragon® Medical Practice Edition 4 in ways specialized for their packages. Dragon® Medical Practice Edition 4 supports virtually all EMR handlers on the market. 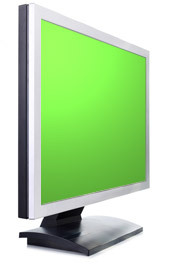 Dragon® Medical Practice Edition 4 supports over 150 EMR programs, see the official list. Even if your EMR is not on the list, it is designed to work with any computer and any program, including your EMR. What are the system requirements for Dragon® Medical Practice Edition 4?